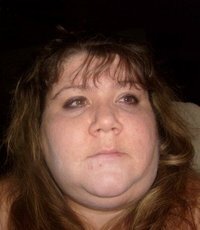 i'm a single mom in the northeast ohio area.i'm a very easy going and family oriented person.i am always willing to go out of my way to help others as much as i can.i enjoy movies,outdoors,spending time with friends and family.im looking for someone close....actually lives in the state of ohio....to hang out with and go from there.i never really know what to put here....im beginning to think there isnt anyone around in the north east ohio area seeing as how i get emails from everyone else but people from north east ohio. I DO NOT NEED TO BE ADDED TO ANYONE FAVORITE LIST AND WOULD APPRECIATE IT IF YOU WOULDNT. If your married or in a relationship do NOT message me. I also would like to make it clear that I have no desire to go out with anyone outside of my race. Co Jest Dla Ciebie Atrakcyjne? adultbbwdating.net nie weryfikuje ewentualnej kryminalnej przeszłości swoich użytkowników. Kliknij TUTAJ , aby dowiedzieć się jak bezpiecznie korzystać ze strony.